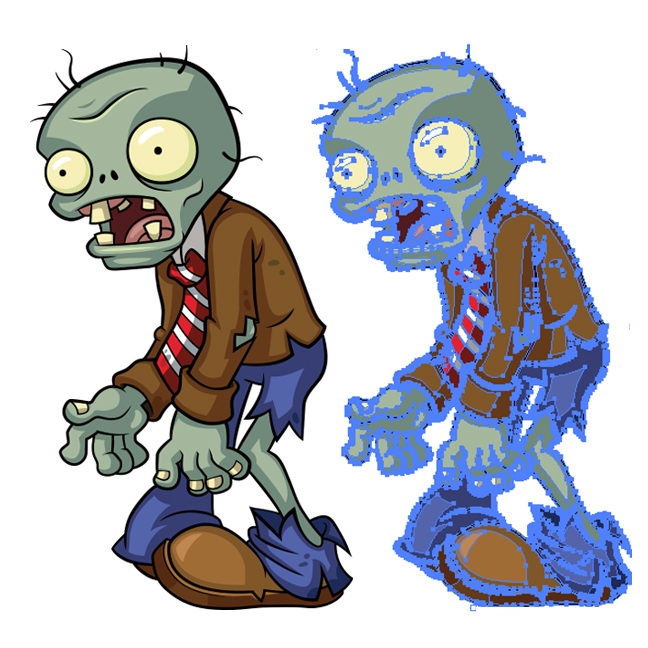 A look at the creation of one of the many assets made for the Plants vs. Zombies Licensing program. For this program I contributed to style guides with over 150 custom elements including character illustrations, badges, iconography, logo treatments, patterns, and more. For this program I was tasked with creating a large amount of bright, humorous character art to be passed along to our licensing partners. This art needed to be versatile in its application and easy for partners to use. I inked and colored Adobe Illustrator vector files with CMYK, Pantone full color, Pantone limited color, and line art layers so that the art could be used for any need. In addition to stand alone character art I created fun badge arrangements of the characters for partners to use. These could easily be placed on anything from apparel, stationery, home goods, toys, and packaging. These were included and updated in our licensing style guide releases. A successful example of one of our partners using my badges is this hat sold at Payless in 2016. Including stores in the USA such as Payless, Hot Topic, GameStop, Old Navy and more. This multi-million-dollar consumer products program was awarded Brand of the Year by PROMARCA (LATAM licensing industry award) in 2014.